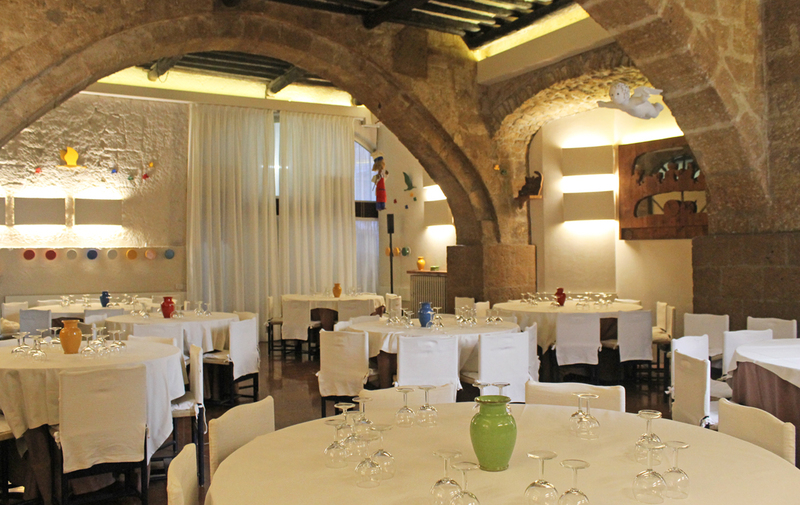 Located inside a beautiful medieval building from the 1300′s. 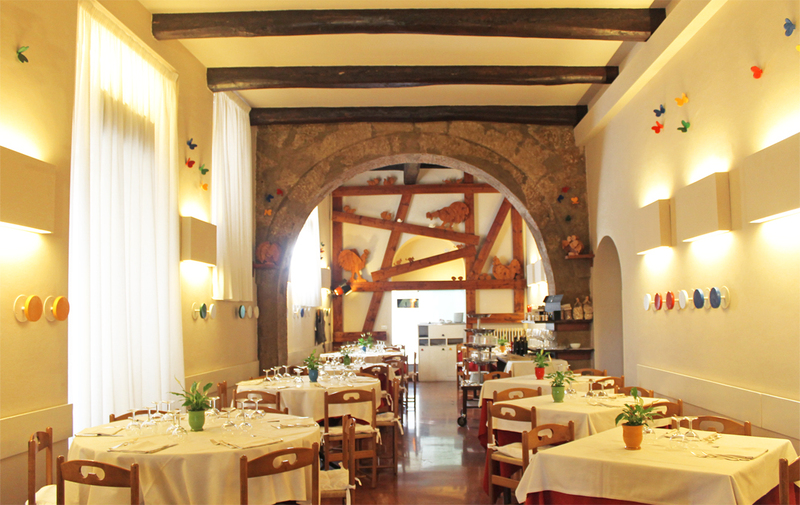 Ristorante Maurizio consists of a maze of rooms connected by arches, only a few steps from the Duomo of Orvieto. 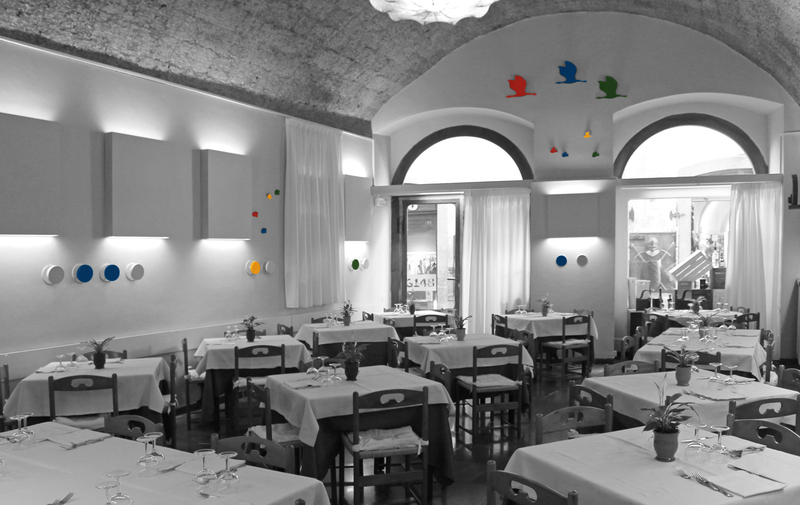 The atmosphere encourages the savoring of the tasty delights of Umbrian cuisine. Where tradition is renewed dish after dish to enhance the authentic flavors true to our land and culture. Porcini mushrooms, truffles, game, olive oil, and homemade pasta, are just some of the products that can be sampled at any time of year. 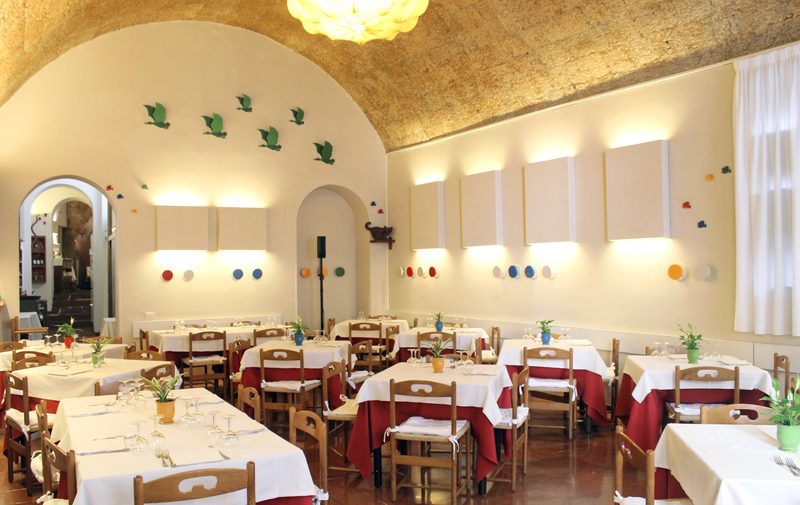 The restaurant’s cellar, dug into the tufa rock of Orvieto, offers a fascinating visit. In it there is a wide choice of fine wines, including the famous “Orvieto Classico” wine appreciated since Roman times, to which it is a place of honor. The hospitality and friendliness of our staff makes this pleasant place, ideal for all types of guests; a romantic dinner, business meeting, group functions and receptions. 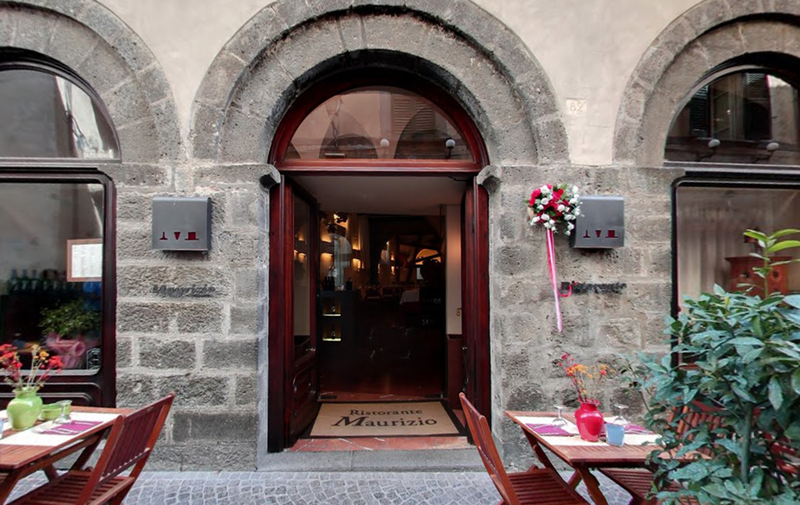 The Martinelli family, originally from Umbria, has managed the Ristorante Maurizio since 1978, however the restaurant was opened over a century ago. The Martinelli’s are caterers for 3 generations. Their main mission is to satisfy every need of their customers, with love and passion. For many years Ristorante Maurizio has been catering all types of events, ensuring quality and excellence in every detail. Since 1996 the Martinelli family started Cantina Martinelli. Their production of local wines has received and worldwide recognition, including excellent reviews from Wine Advocate and Wine Spectator. Martinelli wines are available daily at the restaurant, to accompany your meal. The restaurant is divided into 3 separate rooms, with a total of 220 seats. The central dining room seats 70 guests, with a glimpse into the kitchen. 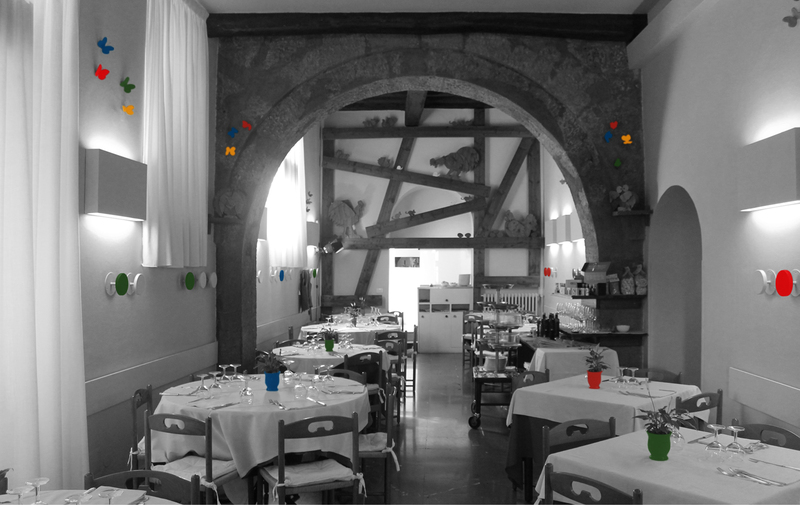 The right dining room is the smallest seating 60 guests, with a view of Via del Duomo. The upper dining room seats 90 guests. We are open for lunch and dinner every day except Tuesday (with exceptions for groups). Call us for reservations and more for information (+39) 0763.343212.